The name "Shih-Tzu" means lion dog in Chinese and they recieved the name because of their long, flowing mane-like coat. 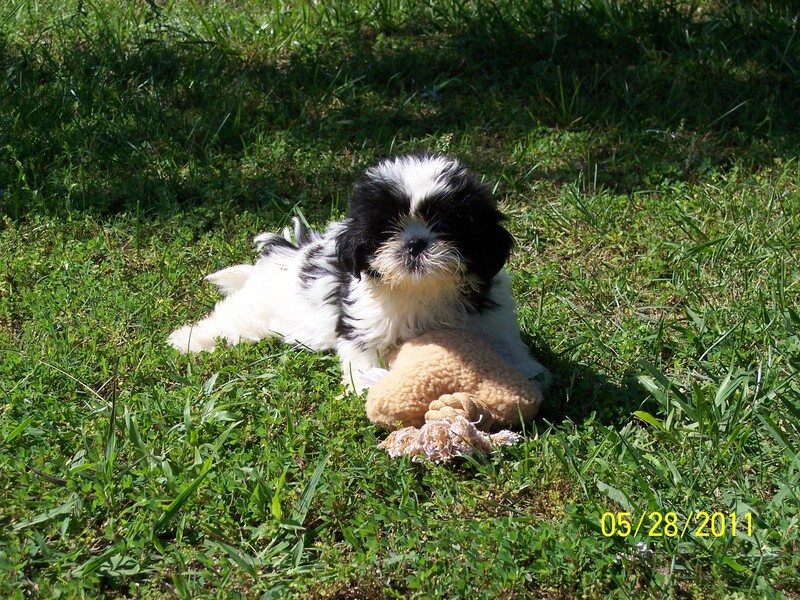 The Shih-Tzu is a sturdy, lively, toy dog with a long flowing double coat. They have a distinctivively arrogant carriage with head well up and tail curved over the back. They may display an arrogant personality, but are actually playful and gentle. Shih-Tzus adapt well to any family situation and will enjoy a cuddle in your lap, doing tricks, or fetching a tennis ball. 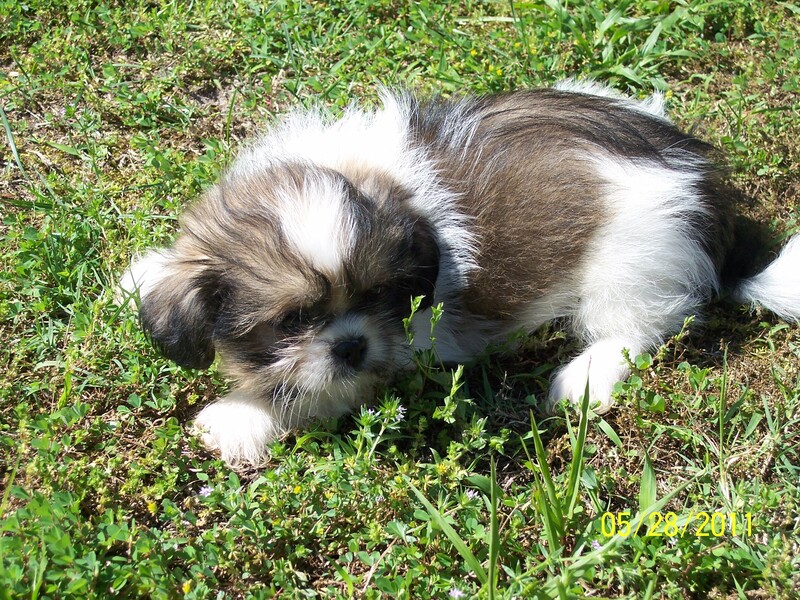 Shih-Tzus are an intelligent dog who will make a good family addition. Despite their small size the Shih Tzu is a confident and dignified breed. Coat: Long, dence, not curly with a good undercoat. Temperament: Shih-Tzues are gentle, loyal, proud. Care and Exercise: Daily grooming is essential for the Shih-Tzu. Bathing once a month. Clipping of matting on feet. Basic training when puppy is young. Minimal exercise is needed, but they will love to play outdoors. Training: Shih-Tzus may be obstinate but patience and consistency will help over come the problem and achieve a reasonable level of training. Living Environment: Apartment is adequate provided they recieve some type of exercise. An owner of Shih-Tzu should be a consistent leader who desire an active, curious breed. History: Shih-Tzus may have originated from a cross between the Tibetan Mountain Dog and the Pekingese. They were a favored dog of the Emperor and is portrayed in Chinese paintings. They were first imported to England in the 1930's. Then after World War II they made their way to the United States by Military officers going home. It wasn't until 1969 that the AKC recognized the breed.